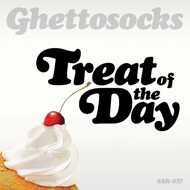 FINALLY on wax is Ghettosock's classic album, Treat Of The Day. This is a very limited edition press run, with just 100 on white splatter vinyl, so grab yours while you can. featuring El Da Sensei, Muneshine, Rich Kidd and many more..!